It was not until my hunger struck me earlier this week that I realized the once most awesome Wednesday's buy 1 get 2 free deal is now legendary, and it has been replaced by a still great but less exciting buy 1 get 2 deal. See, when they first introduced it, it was limited to only M size pizzas but the first pie could have been anything, ANYTHING on the menu. Even the latest new seasonal hotness was part of the deal, then you get 2 happy-range 1-2 pizzas for free, so the not as fancy pizzas. I used to get pizzas that were 3000 yen to start with and got 2 for free, and paid 2700 at the end! Nowadays, it is 3 happy-range 1-2 pizzas for 2400yen. Yes, it is cheaper, but you cannot use it on the seasonal stuff like The Roast anymore. Instead, you would have to use the 50% off deal to enjoy it. 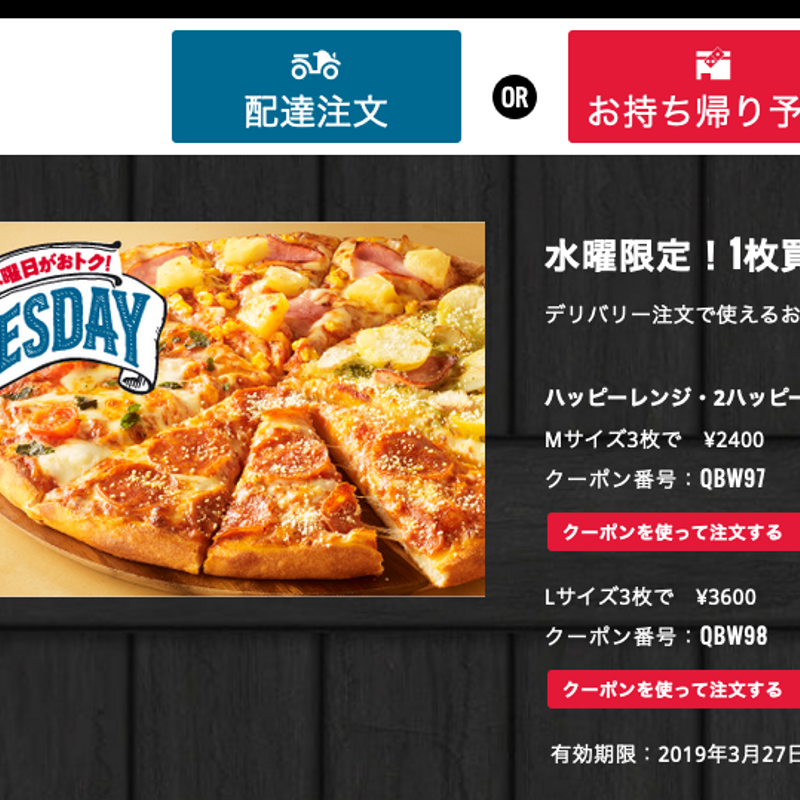 The deal is still crazy considering the traditional prices of pizzas in Japan, but I guess they realized it indeed was TOO good.